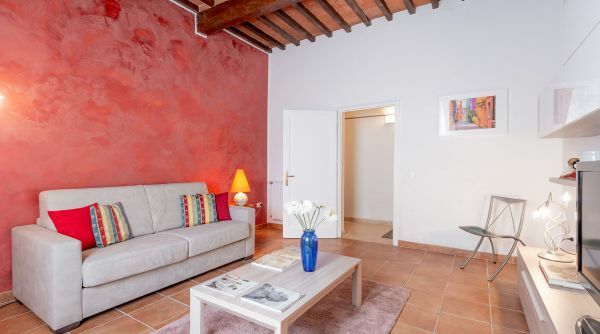 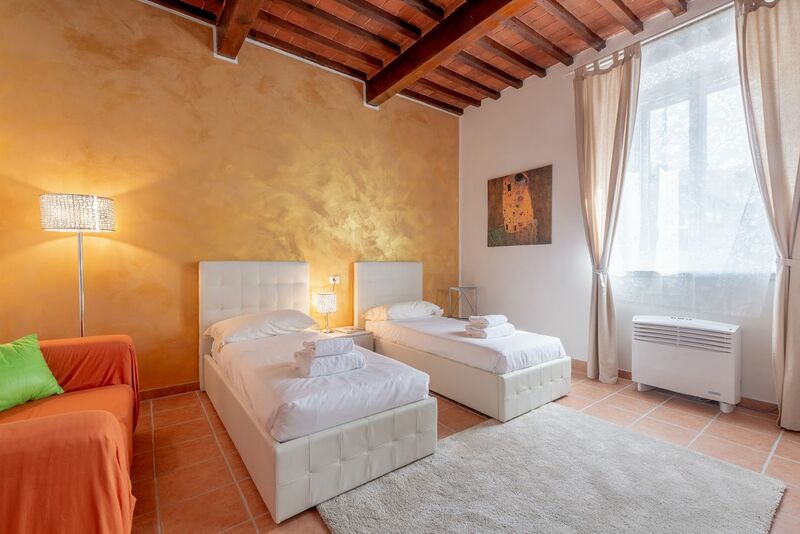 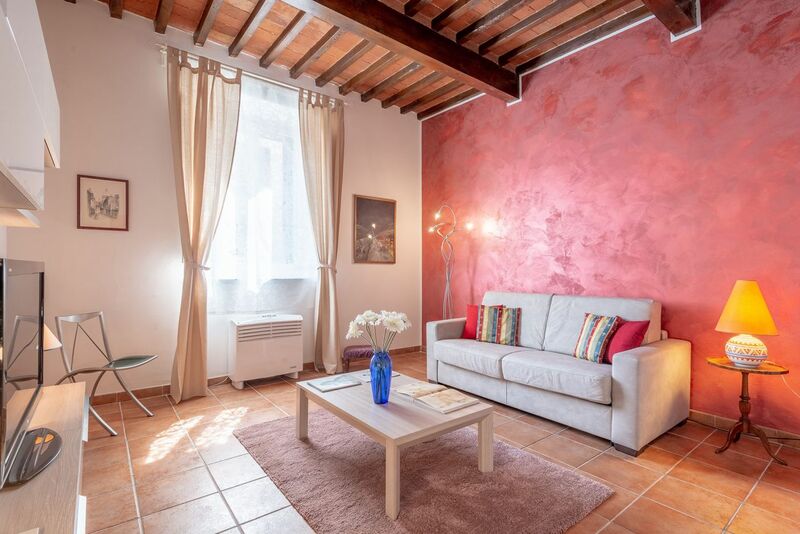 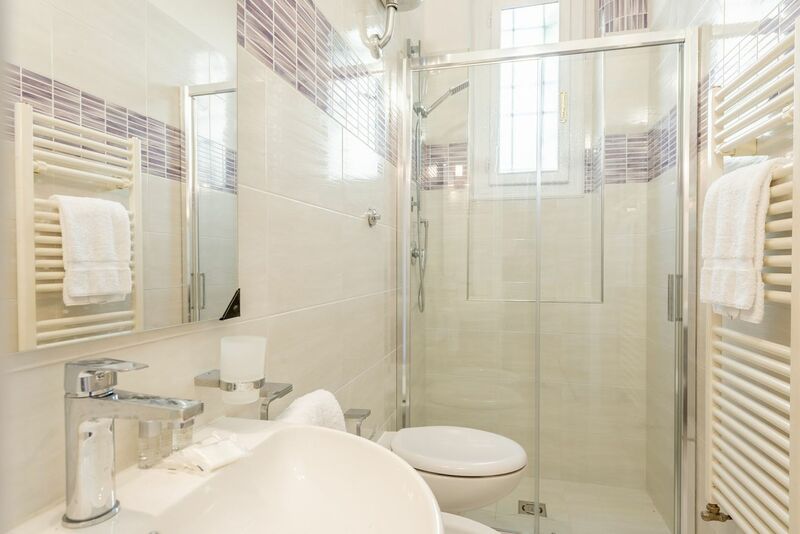 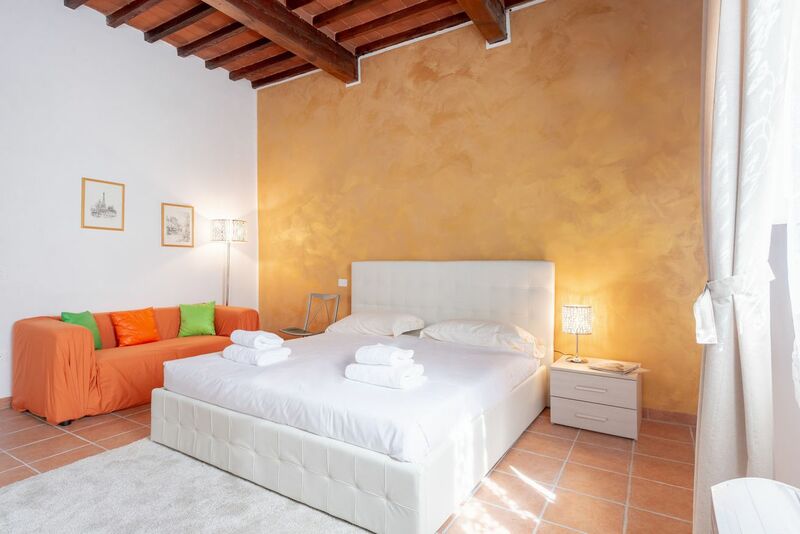 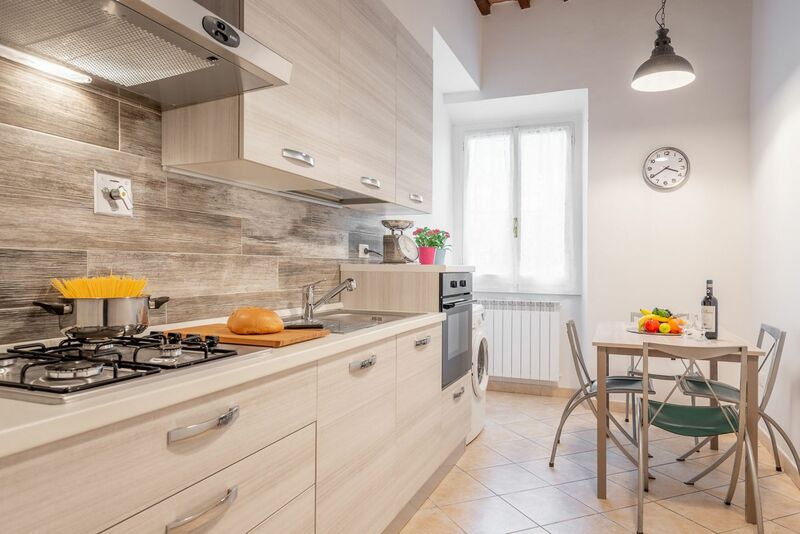 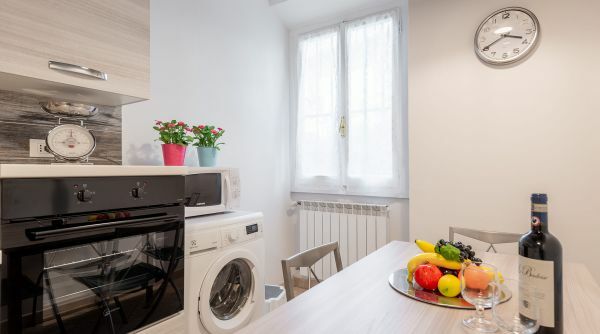 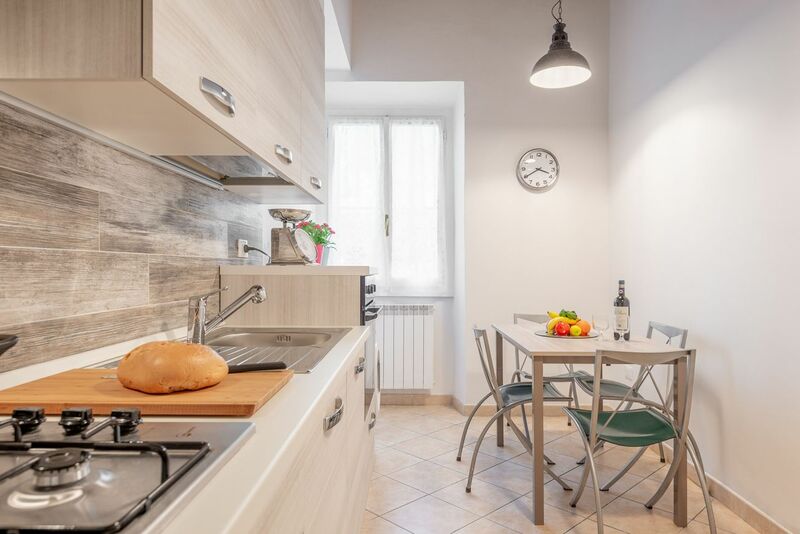 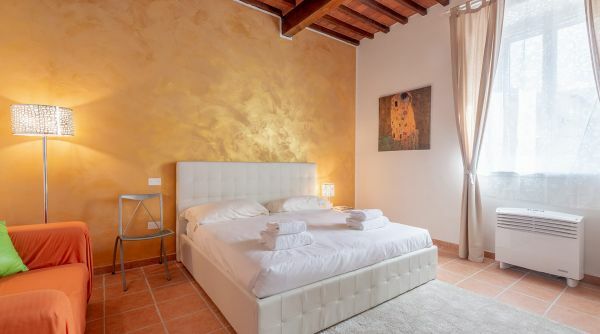 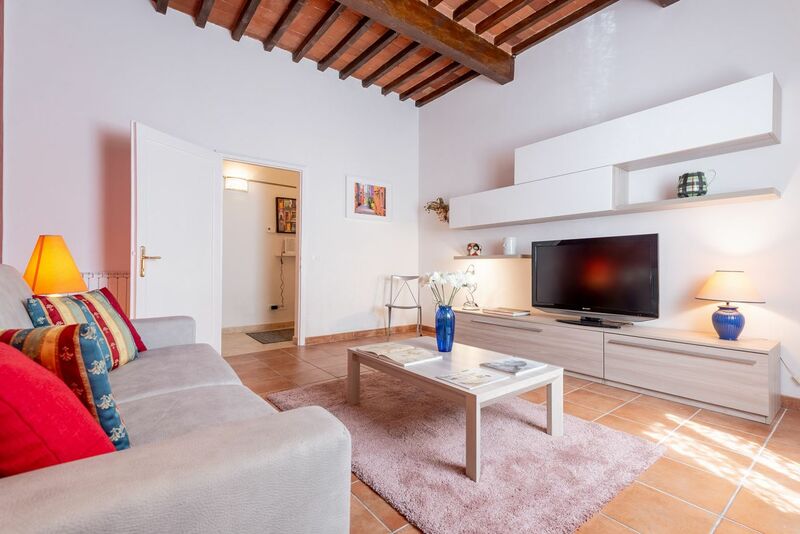 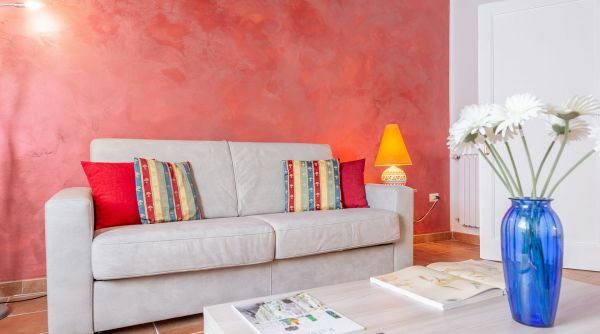 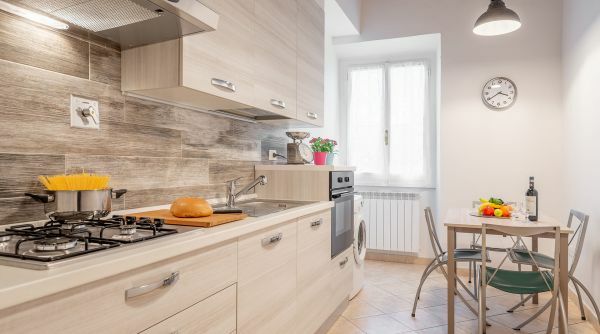 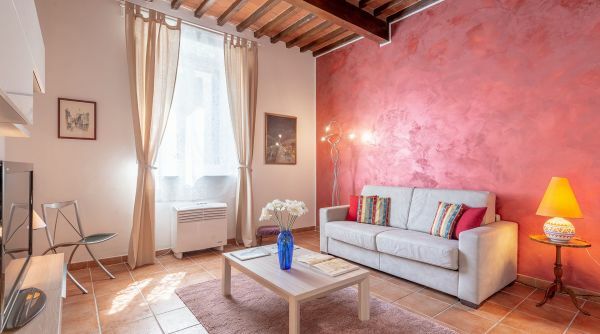 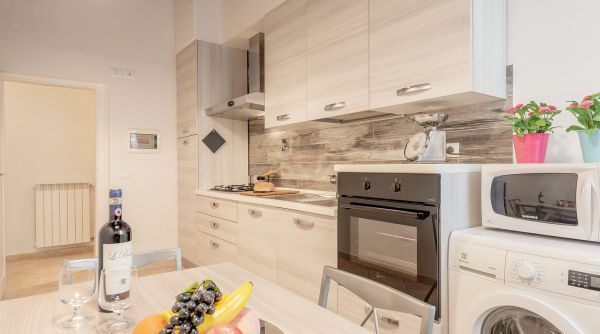 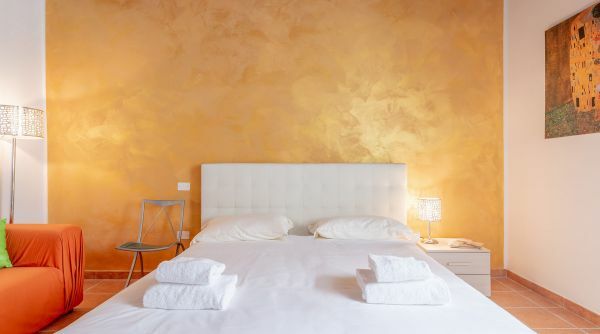 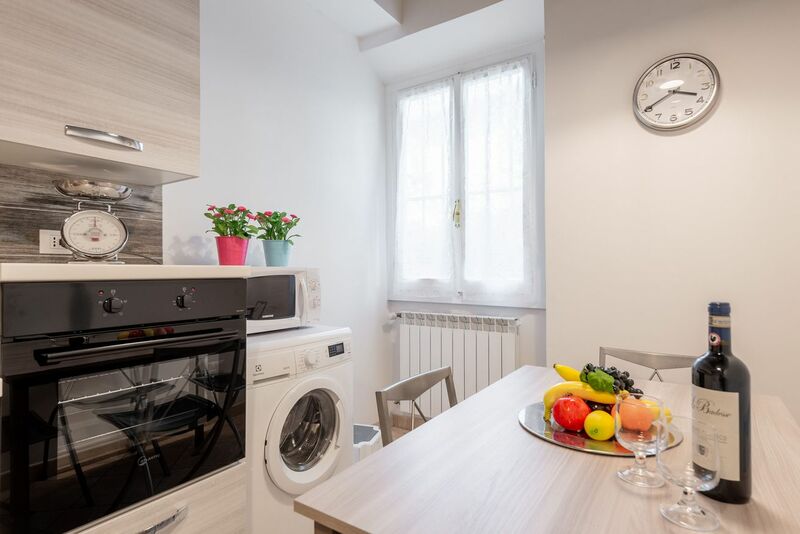 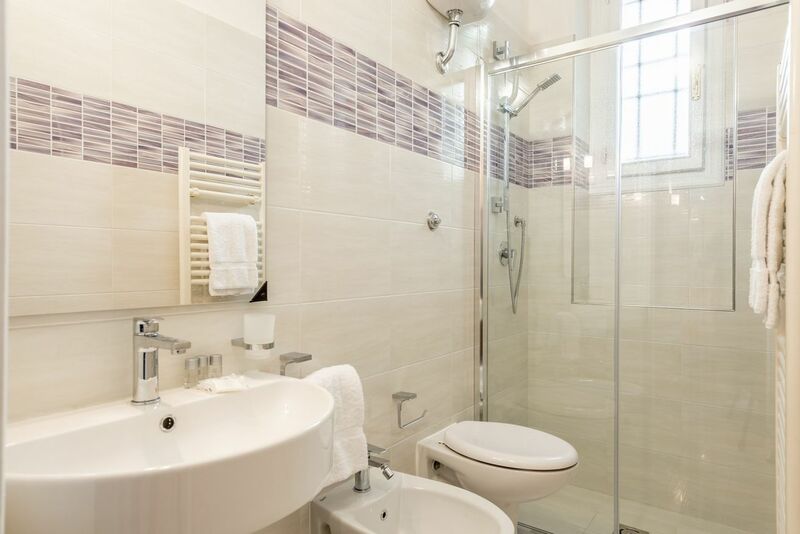 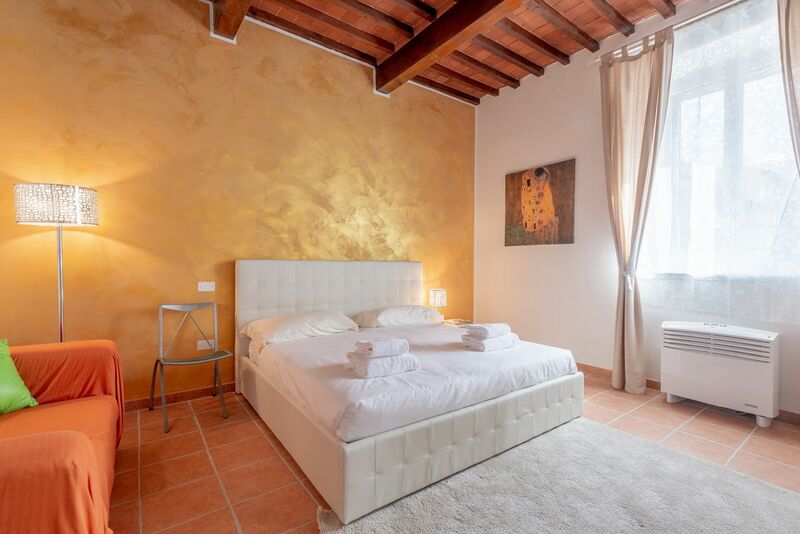 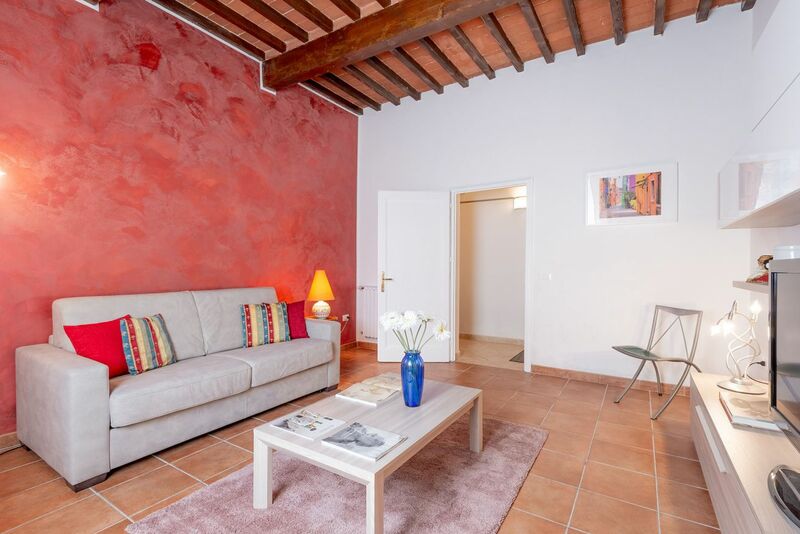 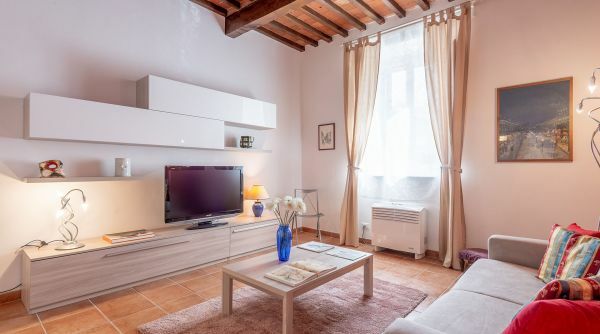 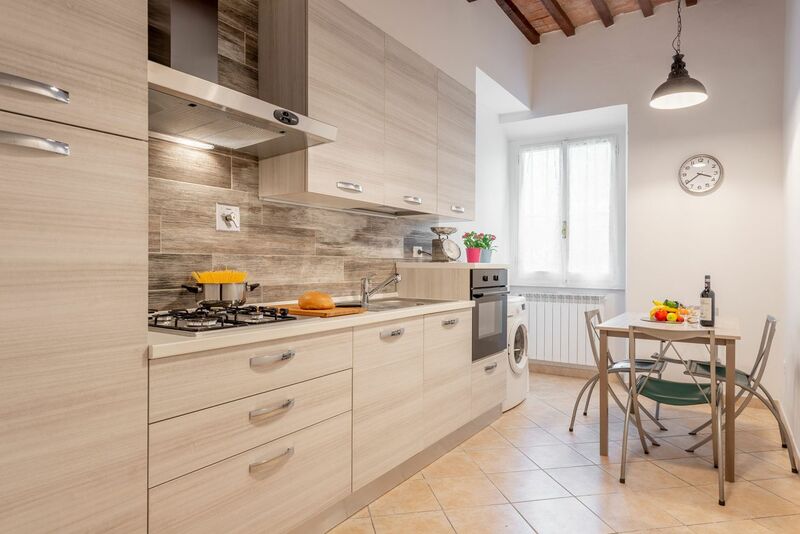 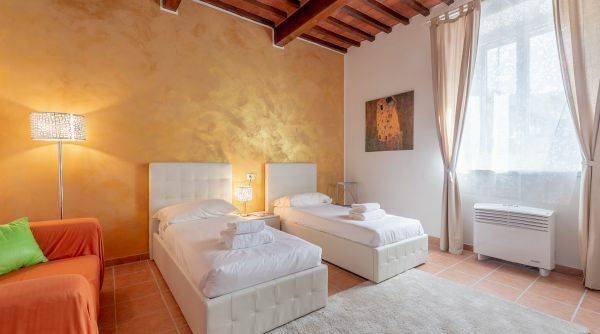 Santa Rosa is a delightful apartment to rent located close to the Lungarno (the riverside) into the heart of the neighborhood of Santo Spirito in Florence. 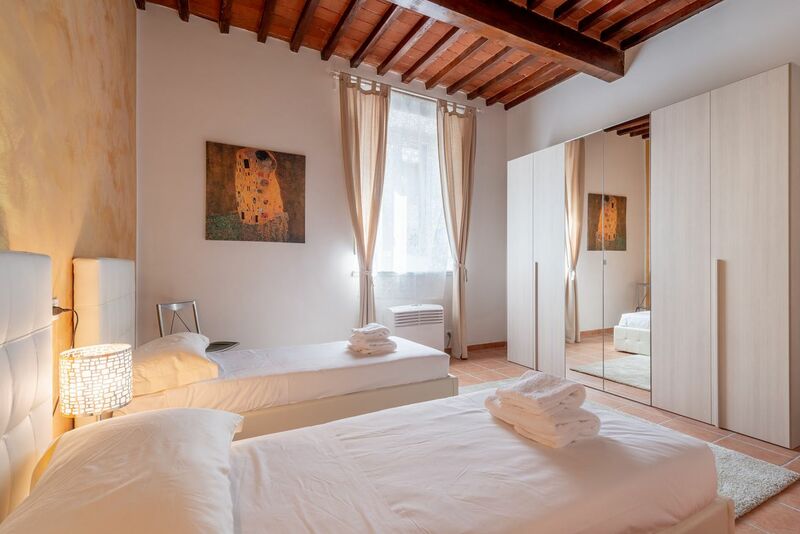 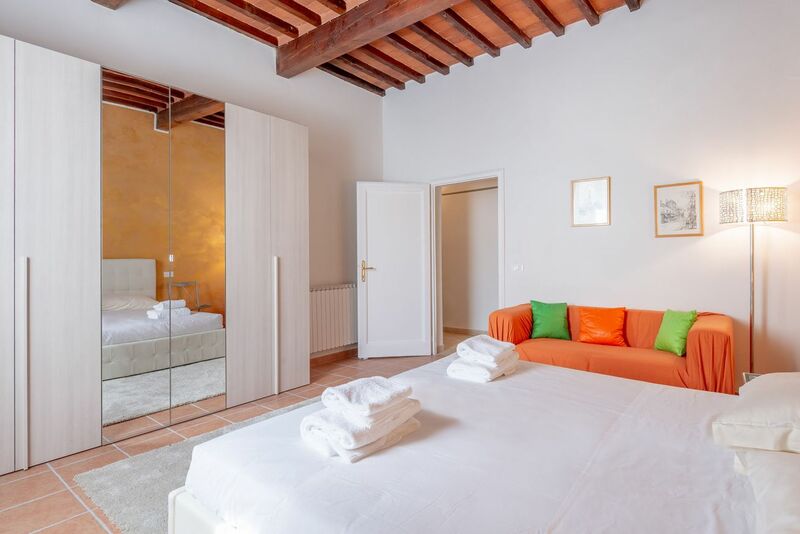 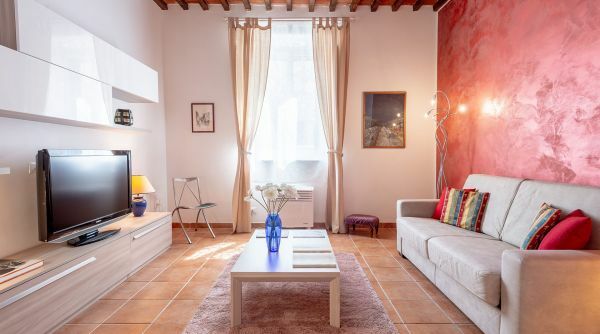 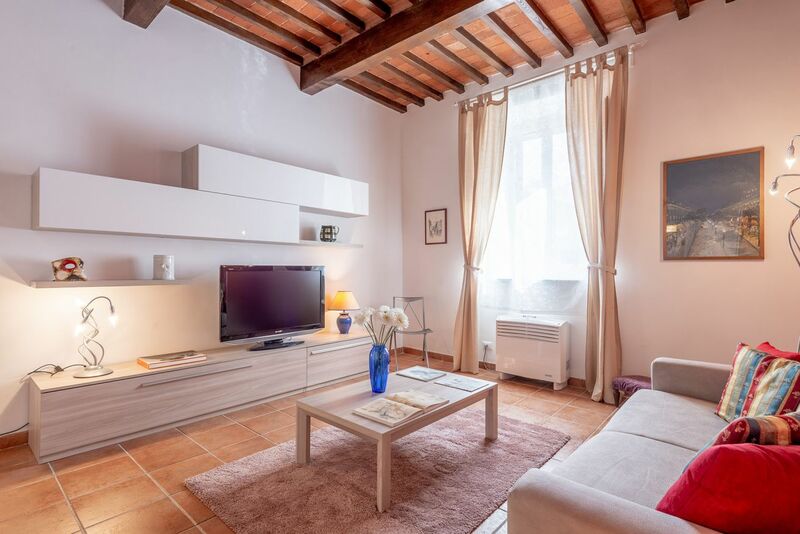 Recently renovaed,the apartment is modern even if it preserves some elements typical of the Florentine tradition as the ceiling with wooden beams. 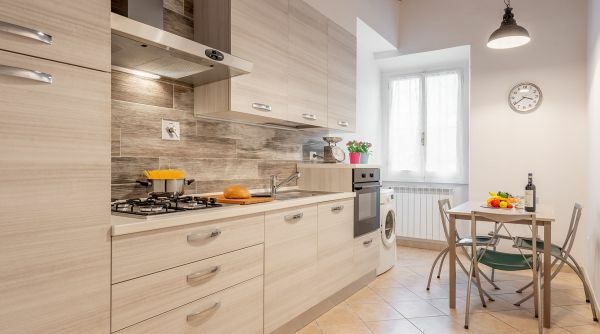 This house consists of a nice living room with double sofa bed and TV; a bright bedroom with two single beds that can be coupled and a very large wardrobe; s very well equipped kitchen with 4 burner stove, fridge, oven, washing machine and much more; and finally, a full bathroom with shower. 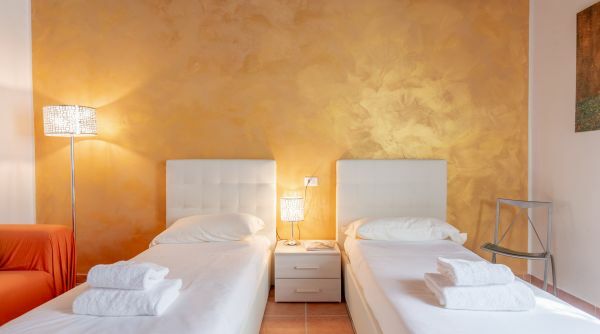 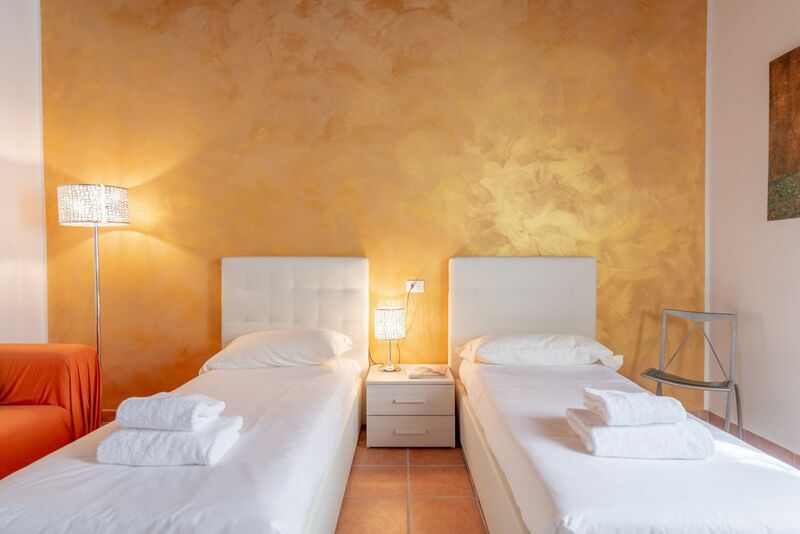 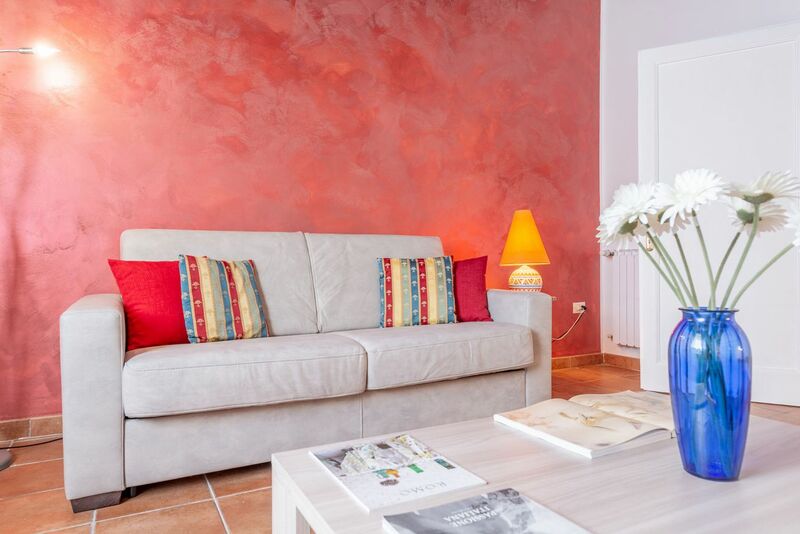 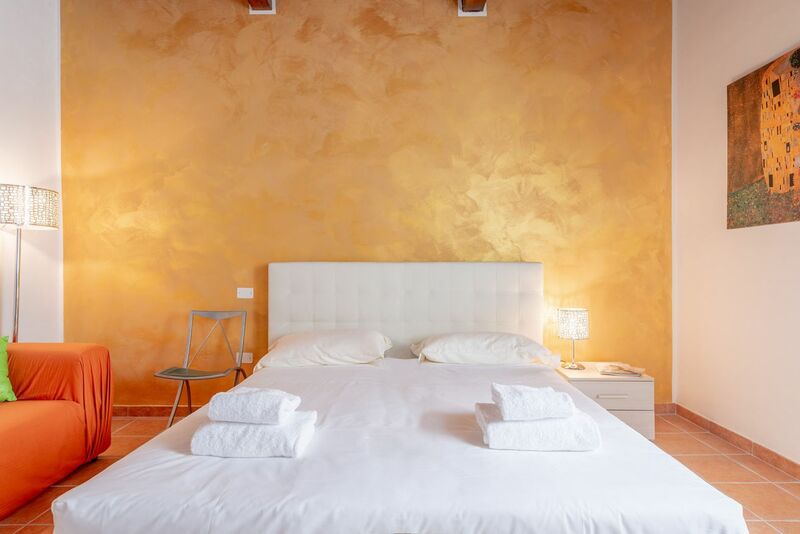 Capable to accommodate up to 4 people, the apartment Santa Rosa is equipped with air conditioning, autonomous heating and Wi-Fi. 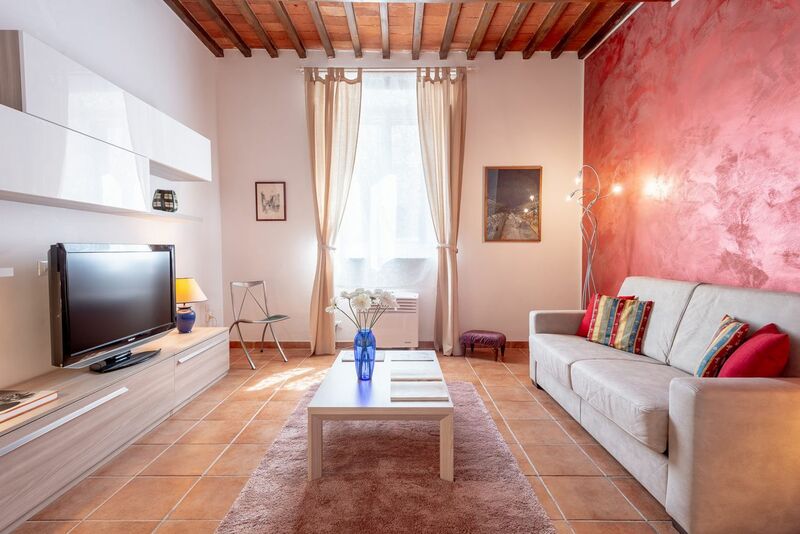 Our apartment to rent Santa Rosa is located in a nice residential area close to the public gardens of the Lungarno Santa Rosa. 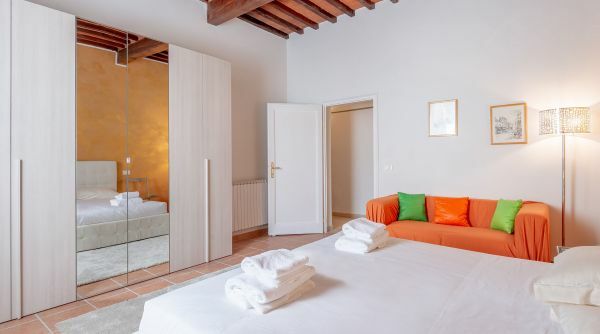 We are in the so called florentine Oltrarno just steps to the beautiful Piazza Santo Spirito and Piazza Pitti; from here you can get, also by foot, to all the main monuments of Florence. 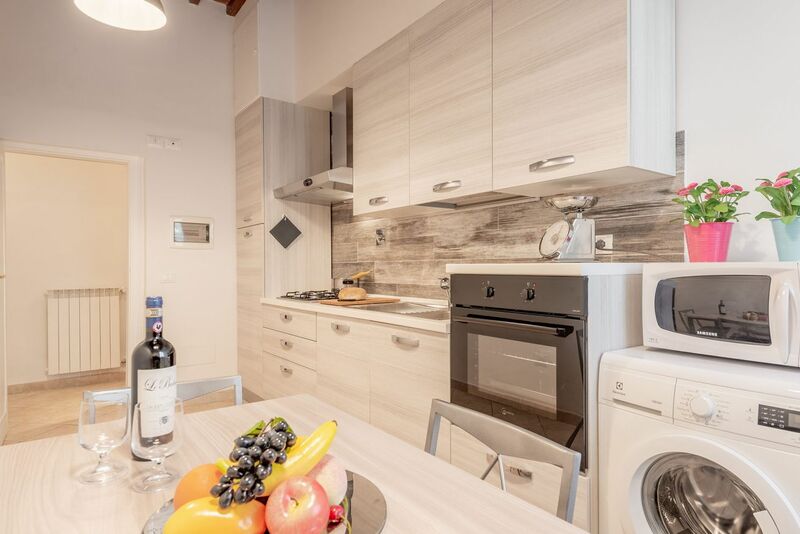 All around you will also find many bars where you can enjoy the local nightlife and many shops and supermarkets as the Esselunga in via Pisana. 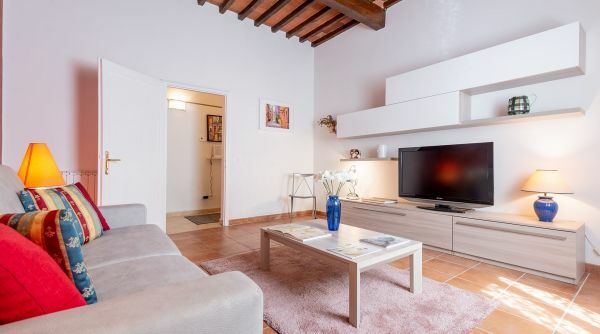 Another bonus of this apartment is the position outside the limited traffic zone, so you can drive your car right to the house. 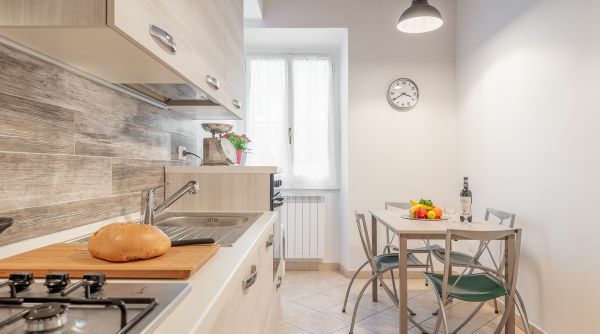 From the main train station of Firenze, Santa Maria Novella, you can get a bus, lines D and 6 by ATAF.